The thing that attracted girls to Scouting, and then to Guiding, beyond anything else, was outdoor adventure. In an age when girls were often not allowed to take any vigorous exercise, and outdoor activity was usually confined to sedate walks, outdoor picnics, or horse-riding (side-saddle only), the chance to roam the countryside, cook meals on outdoor fires, and even camp, was real adventure. Thus it was that when Guiding started, it was almost entirely an outdoor organisation. We need only remember the famous response of our founder, Agnes Baden-Powell, when a group of Guides asked her advice on fundraising for a drill hall - she questioned why on earth they would want to do drill in a stuffy hall when they could equally well do it in the fresh air . . . 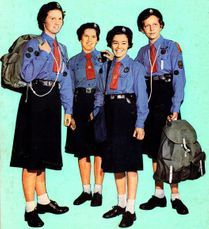 The first source of activity ideas for the early Girl Scouts was "Scouting for Boys". The whole structure of it was that there would be a 'yarn' followed by 'practices' - so an explanation of the theory, followed by games which practiced the skills which had just been taught. Many of them were outdoor games of the sort now categorised as 'Wide Games' - and one first in the book is 'flag raiding'. Most of the games were designed for outdoors, whether played in the fields, the woods, the lanes or the streets, with lots of scope for adaptation. Soon a separate book of Scouting Games was published by Baden-Powell, to supplement the original selection with more ideas and inspirations, which helped to keep the programme fresh. In recognition of the existence of these publications, the first Guide Handbook, "How Girls can help to Build Up the Empire" contained fewer games, although many of the ones listed in "Scouting for Boys" were equally well advocated for girls, and it was made clear for many years that the keen Guide should read both the current Guide Handbook and "Scouting for Boys" in order to gain a clear understanding of the origins and principles of the Guide movement. Of course, the big focus of every unit was on the annual camp, and every unit was expected to try and arrange to hold one if they possibly could. 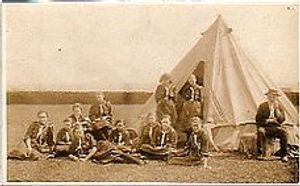 In the early years, Guide 'camps' tended to utilise a barn or village hall for sleeping - as some parents (and indeed, some doctors) considered it 'dangerous' for girls or women to sleep outside, so a barn or hall was a compromise which helped persuade parents that it would be safe and appropriate to let their girls go on the adventure. Camp was the ideal chance to carry out the many outdoor challenges and games in the books, especially for urban units who did not normally get the chance to spend time in the countryside - for those in the poorest areas it might well be their first ever holiday, and first encounter with farm animals and wild flowers. So there would be the collecting of nature samples, stalking and observing or drawing animals, bird watching, pressed flowers, wide games, picnic hikes, outdoor swimming, sports and all sorts of wide games. Most camps would involve a day out to a local place of interest (and if swimming was not available on-site, the day out would usually involve a visit to a swimming pool or suitable river so all the campers could get a reasonable soak and wash half-way through the week, if not before or afterwards!) There would also be the excursions to the village shop, which in rural areas inevitably stocked a wide range of goods upon which the pocket money might be lavished for souvenirs for the folks back home . . .
As well as camping, another popular early activity was the Day Hike. The group would gather early in the morning and have a day out in the country. If funds allowed, they would catch a bus or tram to the terminus and start hiking from there, but in most cases not all of the group would be able to afford the 1d or 2d for the fare, so all would set out from home to walk the distance to a suitable park, farm or other green space. On arrival they would find a location to pause and cook lunch, before spending the afternoon on outdoor activities - nature study, sport, wide games etc. After cooking a snack evening meal, they would pack up their kit and hike back home. Distances covered on foot could be as much as 10 miles each way (not to mention the active games tackled on arrival) - but in an era when cars barely existed, walking was the only way to get around, so the Guides were accustomed. Day hikes remained part of the programme through the 1950s, being one of the clauses of the First Class award, where the candidate had to organise a day hike for herself and two more junior Guides. The candidate had to plan the route, ensure her trainees knew what kit to bring and wear, arrange to cook lunch out on a wood fire, during which time the tester would visit, before they hiked home again and she wrote up her detailed log of where all they had been and what they had done. Nowadays, hiking tends only to appear at major camps, in the guise of the 'night hike' where a group set out at around 9-10pm, hike for a few hours to a pre-arranged location, then sleep out overnight, before returning to the camp mid-morning the next day. Given the advances in outdoor wear and luggage, maybe it's time we looked again at the day hike as an activity? Nature Study was also a major topic for Guides, with a strong focus on it in the programme. For decades both "The Guide" and "The Guider" magazines both had a double-page spread in every issue devoted to "The Woodcraft Trail" and readers were invited to send in their nature observations, and challenges were set. 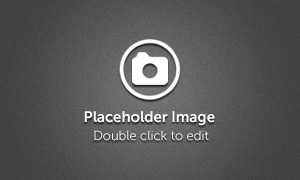 Advice was also given on topics as diverse as wildlife photography (a complex topic in an era where using a camera meant setting shutter speed and exposure times), making plaster casts of animal tracks, making smoke prints of leaves, setting up hides etc. Puzzlers would include things like whether cattle and horses got up from a lying down position with front feet first or with rear feet first - and why - or working out which birds walk and which hop and what the advantages are. In "The Guider" especially there were sometimes heated debates on contentious topics such as fox hunting, egg collecting or fur coats - at a time when many people found these to be the norm, and attitudes to animal cruelty were just beginning to change, there were lots of divided opinions within the correspondence columns. 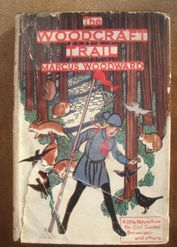 For Brownies the main woodcraft author was Freda Collins, who, as well as writing general stories for Brownies, particularly focussed on nature study, encouraging the observation of wildlife, the collection of samples, and the seeking after 'treasures' - feathers, shells, seeds and other items which were admired for their beauty or design. The making of miniature toys and furniture from acorn cups, conkers and beech masts was also encouraged. Recording nature and outdoor visits was considered all-important. No hike would be complete without a 'Hike Log' being kept - indeed special exercise books were produced which were printed with blank pages for sketching, squared paper for mapping the route and distances, and lined paper for logging the activities at regular intervals, noting the distance covered, nature spotted and what it was doing, landmarks visited or passed and the details discovered about them, etc. Nature study could involve logging observations, creating 'books' giving details of different variations of the species - for instance a tree book would include bark rubbings, leaf samples, sketches of the tree and the seeds, and mapping the locations of examples in the area, for each type of tree found. Scrapbooks were also a common hobby, with many country units creating books of drawings or samples from nature - sometimes these were for their own records, however sometimes they were sent either to inner-city units who knew no nature beyond what could be seen in the local municipal park, or to units in hospitals and institutions for the disabled whose residents might never have seen wild flowers, or any trees beyond those few which could be seen from the ward window. Wide Games date right back to the first edition of "Scouting for Boys". 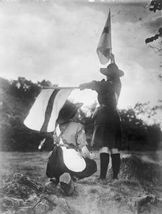 Games such as 'flag raiding' were regularly played - which was so much easier in an era before many of the modern housing estates were built, when most people were only a few miles from farmland or a public park. Many of the original games were drawn straight from Baden-Powell's army experience, involving spies, enemy agents, military messengers and the like. Other games were drawn from the writings of Ernest Thomson Seton, who had set up a scheme for youth groups which predated Scouting. The early wide games tended to be afternoon-long or even whole-day affairs, often involving large areas of heathland and woodland, with stalking and passing on of secret messages being an important feature. Observation was often tested, and great emphasis being put on being able to sneak up on an enemy, observe all that could be seen, and getting back to base to report without being seen - much the role carried out by army Scouts in Baden-Powell's day, but equally good fun in modern-day times. Many of the general Guide activities, though they could be studied indoors, were really designed for use outdoors, and chief among these was signalling, by Semaphore or Morse Code. Up until 1968 all Guides and Brownies learned to signal using one of these methods, and although the hard graft of memorising had to be done at home, once even a few letters were mastered it gave scope to use the skills 'for real' - to communicate over a distance where shouting or whistle signals would not work. As well as using signalling as part of wide games, some units set up signalling stations at camps, or would stage long-distance passing on of messages across town and country. When World War 2 started, the knowledge was especially valuable, with some Sea Rangers being recruited to the Thames Emergency Service due to their practical skills, including signalling. But it wasn't just in the second world war - the photograph shows early Girl Guides practicing signalling during World War 1 . . .